While managing the launching site (paragliding and hang gliding), the Corporation presents of the Fête du Vol Libre (free flying festival), from July 25 to 29, 2019. 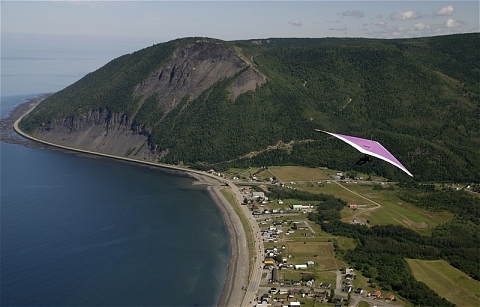 The Delta trail (2 km) leads to the top of Mont-Saint-Pierre where you can discover the launching site. Ice climbing sites are accessible to experienced enthusiasts (free access to sites and non-supervised activities). Schedule: year-round, Monday to Friday.